For the accepted individual papers click here. 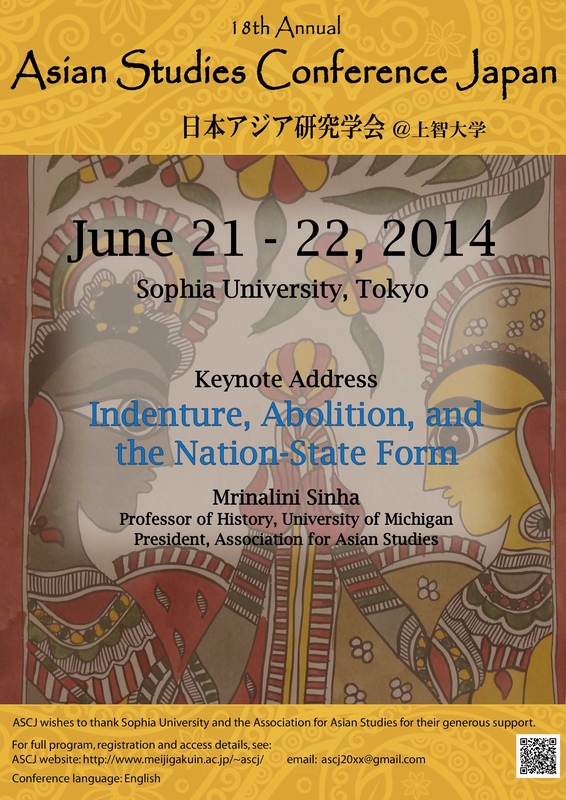 Sessions will be held in Building 11 of the Yotsuya Campus of Sophia University. Information on hotels near the conference venue is available here! Professor Sinha's talk is titled "Anatomy of a Mass Movement--The Mobilization Against Indentured Labor in India"